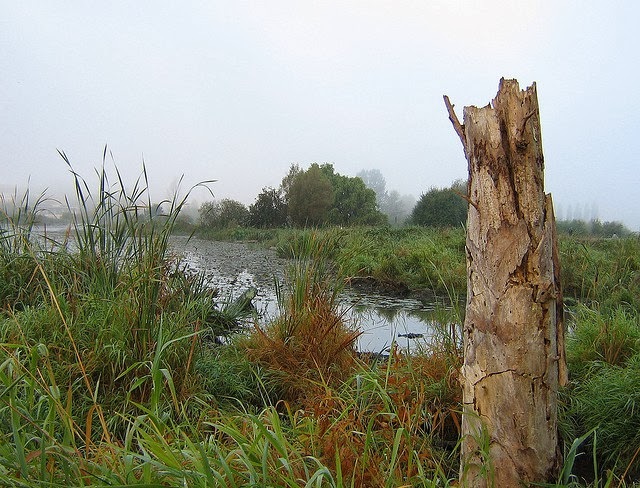 To see some great pictures of birds spotted at this former dump (once a lakeside wetland), go to Birds of Montlake Fill. More photos of wildlife, including beavers, otters, raccoons, turtles, frogs, etc can be found here. Formerly the Montlake Landfill, University Dump, or Ravenna Landfill, it was used by the City of Seattle for residential and industrial solid waste from 1911 to 1966. It was fully closed five years later and overlaid with two feet of clean soil. 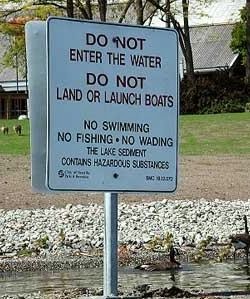 To this day you can find rebar poking up in the water and the occasional old tire appearing out of nowhere. I wonder if the regular visitors to this dump would protest the installation of wind turbines in it? As with the global warming debate, and thanks to our human nature, new anti-nuclear arguments tend to take hold when old ones (like nuclear power safety, see aside below) are put to rest ...an endless game of whack-a-mole. Thanks to the usual lack of critical thought exacerbated by the internet echo chamber, the "uninhabitable land" argument has been popular of late. Aside: The safety argument against nuclear has been losing popularity thanks to overwhelming rational arguments to the contrary on the internet. Really big renewable energy accidents have been known to kill tens of thousands at a time (dam failures). Three Mile Island and Fukushima caused no loss of life. The Chernobyl accident death toll has been estimated to be roughly four thousand when potential cancer related deaths are included. Contrast the combined total of those three nuclear power incidents over half a century with the fact that about forty thousand Americans are killed in their cars annually. Two of the grand total of three nuclear power plant incidents of note over the last half century resulted in land being abandoned by the sentient primate species Homo sapiens sapiens for the same reason tens of thousands of other abandoned industrial sites all around the world are not inhabited by our species--they harbor excessive amounts of one or more of the 450 carcinogens listed by the EPA, which can lead to an increase in cancer rates, or some other toxin, like heavy metals. Go here to see a list of 1,280 Super Fund sites. The Tar Creek Superfund site covers roughly the same area as the Chernobyl exclusion zone, and it isn't the largest Superfund site. In this documentary about it, a narrator says "this is being unreclaimed by nature" (meaning that it is so damaged that even Mother Nature doesn't want it back). But that certainly isn't always the case, as this PBS documentary about the wildlife at Chernobyl and the aforementioned landfill a few miles from my home attest. Were it not for that landfill, the edge of that lake would likely be lined with the waterfront homes of the wealthy, as might yet another abandoned industrial site near my home, Gas Works Park. I suppose you could call this a silver lining of sorts. We sometimes lose control of the land we usurped from nature for industrial or agricultural purposes and are forced to give it back, assuming the land isn't so badly damaged that nature doesn't want it back! A temporary or permanent decline in the productive capacity of the land. 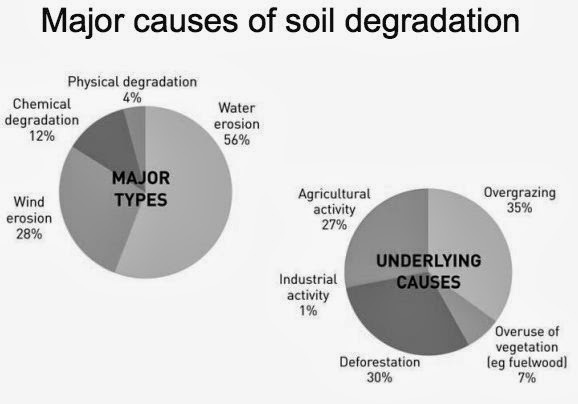 This can be seen through a loss of biomass, a loss of actual productivity or in potential productivity, or a loss or change in vegetative cover and soil nutrients. Action in the lands capacity to provide resources for human livelihoods. This can be measured from a base line of past land use. Loss of biodiversity: A loss of range of species or ecosystem complexity as a decline in the environmental quality. Shifting ecological risk: increased vulnerability of the environment or people to destruction or crisis. This is measured through a base line in the form of pre-existing risk of crisis or destruction. The Soviet military industrial complex gave us Chernobyl, the poster child for how to do nuclear power wrong. Using the ultra-conservative LNT method, it has been estimated that, statistically speaking, up to 4,000 extra cancer deaths may result over an 80 year life span (compared to the two million cancer deaths that occur in Europe annually). We also learned that instead of creating mutant armies, a disaster like this can create vibrant wildlife preserves (much to chagrin of many anti-nuclear ideologues). To put the amount of land lost to agriculture by the Chernobyl accident into perspective, consider that the American dust bowl alone removed roughly 100 times more land from agriculture than the Chernobyl accident (156,000 square miles verses 1660 square miles). And that dust bowl was just the tip of an iceberg. There have been similar dust bowls in China, Africa, and the former Soviet Union. Human beings have been destroying land for a long time. Archeologists had a hard time finding the site of ancient Troy which was located next to a bustling sea port. Because agriculture denuded the surrounding hillsides causing them to erode into the bay, the site of ancient Troy is now located roughly three miles from the coastline. 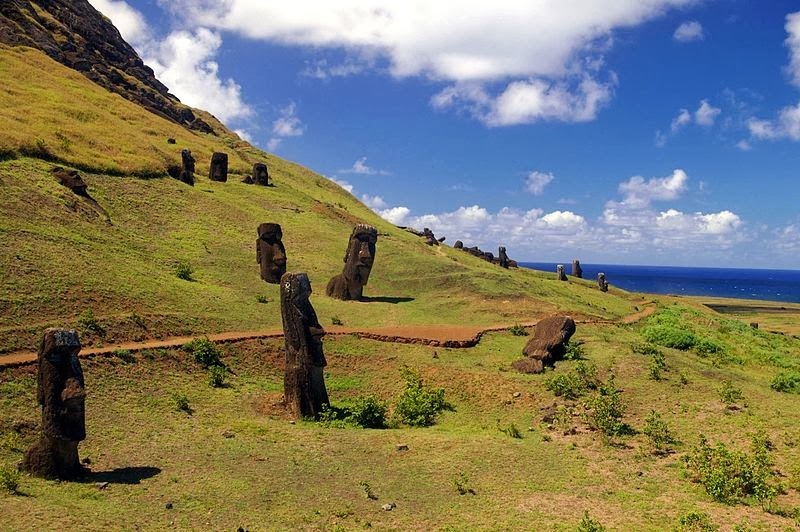 Easter Island, like some of the Greek islands, was once covered in forest. 1) Although the quake induced tsunami killed somewhere between ten and twenty thousand people, the damaged Fukushima reactors did not cause any fatalities (much to chagrin of many anti-nuclear ideologues). 2) Chernobyl, for the foreseeable future, returned to nature roughly 1660 square miles (envision a rectangle 20 miles wide by 80 miles long) while roughly 430 square miles were temporarily evacuated for Fukushima. As of today, approximately 70% of that 430 square miles is safe again and most if not all of the remaining 129 square miles is expected to be safe again at some point in the next few years. Nature may not get any land back. In the United States alone, coal ash landfills and ponds cover 124 square miles. 3) Chernobyl was the result of human error, while Fukushima was damaged by a magnitude 9 (literally 1000 times more powerful than the quake that flattened Haiti) quake induced monster tsunami ...what insurance companies sometimes refer to as "an act of God." So, the next time you read that nuclear energy creates thousands of square miles of uninhabitable land, remind them that only one accident in half a century did that. To put it further into perspective, remind them that it became Europe's largest wildlife preserve, and in comparison to all of the land that can no longer be used for industrial agriculture thanks to human activity, the Chernobyl wildlife preserve is a drop in the bucket.